After participation from over 250 Chattanoogans and with the support of Mayors Berke and Coppinger and Councilman Oglesby, Chattanooga Design Studio's recommendations were released to the public on February 19th, 2018. 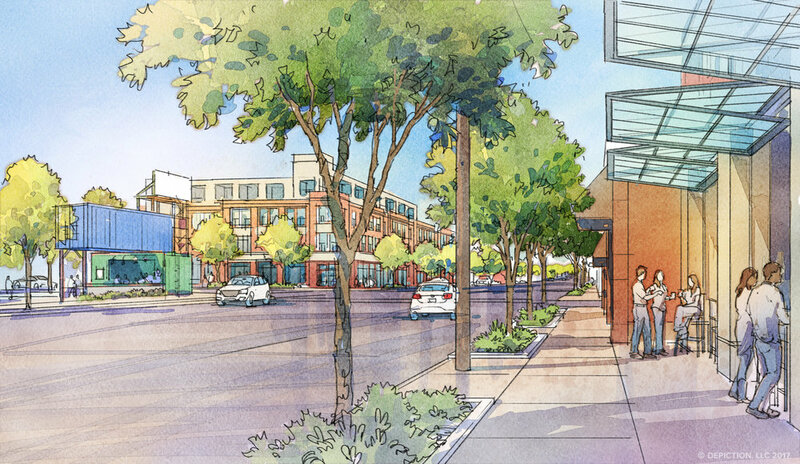 This visioning document contains final versions of the Framework and Illustrative plans produced during the charrette process as well as supporting illustrations, text, and economic impact analysis. The study has been published on ISSUU and may be viewed here. If you would like to download the document, please use the button below. 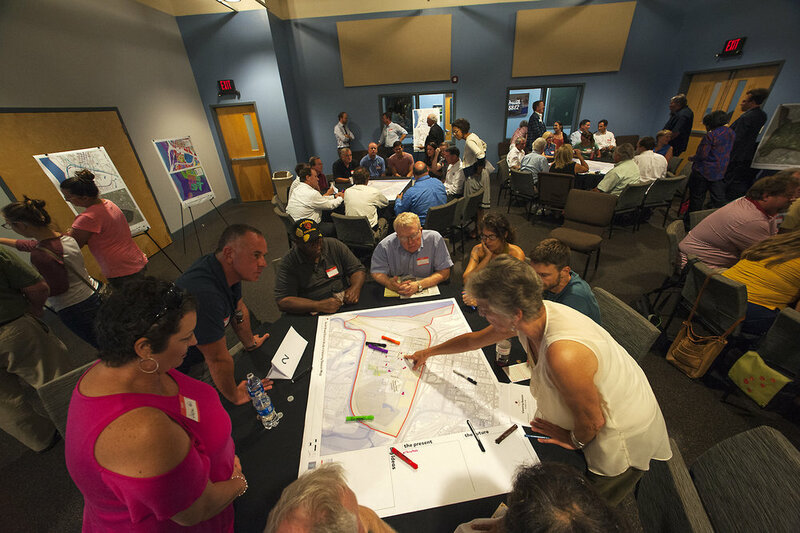 After collecting the input of the 250 people who participated in August 2017 visioning workshops, the design team worked to craft the public's ideas into draft design recommendations. These documents were presented to the public in Mid-September, and can be viewed below. 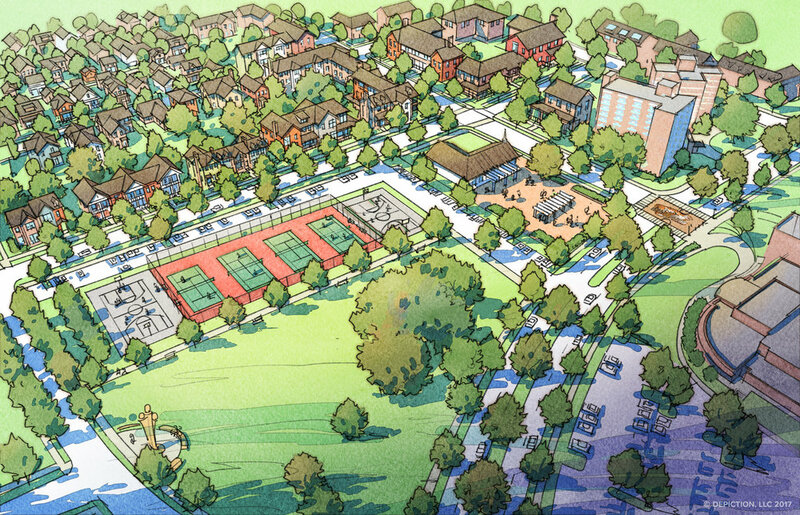 The design recommendations immediately resulting from the September 14, 2017 public meeting fall into three categories: Draft Framework Plan, Draft Illustrative Plan, and Illustrations. Additionally, an economic study was done to complement the visionary design work. To download a PDF of the design portion of the presentation, click below. To see the images of and download the individual components, scroll below. 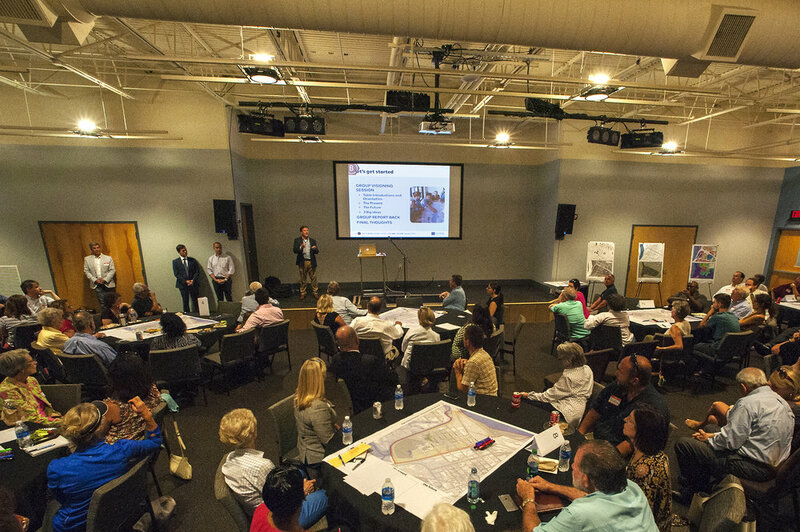 The design team consolidated the community's ideas, gathered in our August 17, 2017 and August 19, 2017 Public Visioning Sessions, into a Framework Plan for the district. 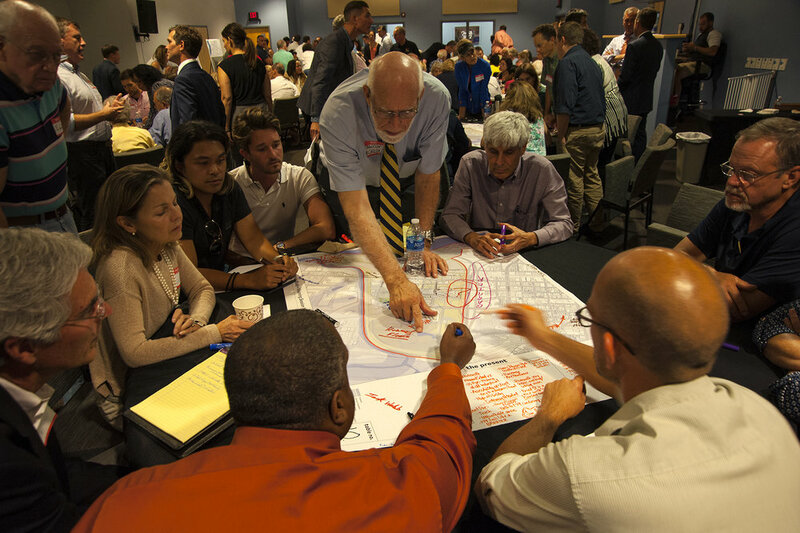 This Draft Framework Plan, created by Common Ground, identifies concepts for urban form; transportation and mobility enhancements; open space opportunities; and related concepts. Produced during the charrette week of September 11, 2017, this Draft Illustrative Plan produced by Common Ground is intended to demonstrate how buildings, parking, access, streets, open spaces might be arranged according to the Framework Plan. Produced during the charrette week of September 11, 2017, these Illustrations created by Depiction Illustration are intended to complement the imagined relationships between buildings, parking, access, streets, open spaces shown in the Illustrative Plan. Select images below to enlarge, or click here to download a combined PDF. 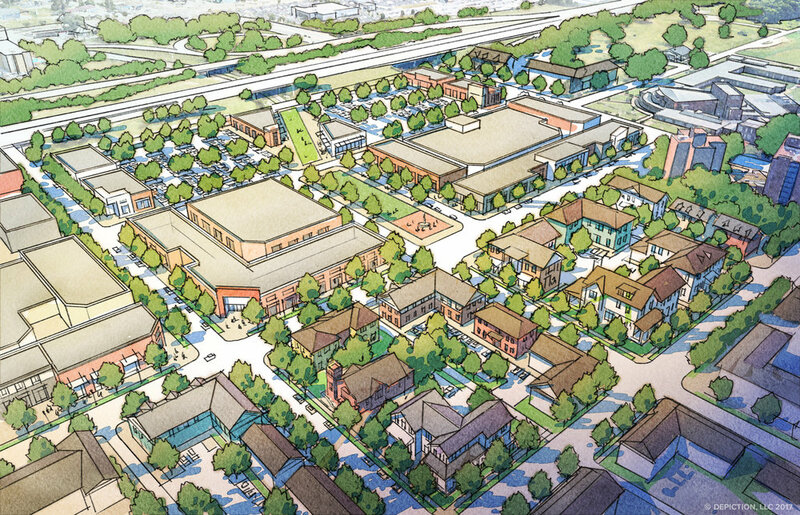 To complement the work of the design team, Noell Consulting completed an economic study for the District. Addressed in this study are residential and commercial market trends and demands for the area, as well as projected impact of specific types of redevelopment. Click below to view and download a PDF.